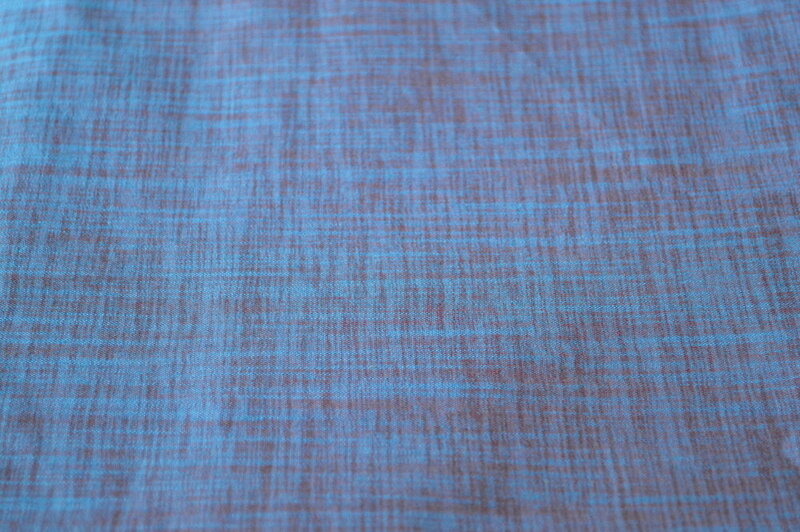 This is a beautiful organic khadi cotton, from Gujarat in India. It’s made from two differently-coloured threads, a blue weft and a red warp. It’s a lightweight cotton that moves beautifully in the wind, and would work wonderfully for almost all my designs! That is, blue threads going horizontally across the fabric and red threads going vertically. This gives the fabric a lovely two-tone appearance, and both colours move beautifully in the sun. Your piece of clothing will look both red and blue - and a little purple from afar!